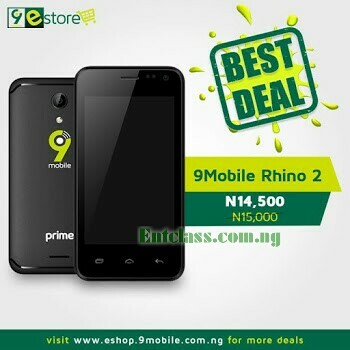 9mobie Rhino 2 (Prime 1) is a low-end Android smartphone with low specs that cost just N14,000. If you are looking for a budget phone to buy for yourself or for your kids, then Rhino 2 shouldn't be a bad choice here. The 9Mobile Rhino 2 Prime 1 phone has been officially launched and available on 9mobile's online store for N14,000. The phone came running on stock Android 7.0 Nougat with Quad-core CPU clocking at 1.3GHz. Other specs includes 1GB of RAM, 8GB inbuilt memory, 4-inches screen display, 2MP rear camera, 0.3MP front camera, 2300mAh battery capacity. Have a look at the quick specifications and features of the phone below. The phone is available in 9Mobile offices and E-shops across Nigeria at the price of N14,000. 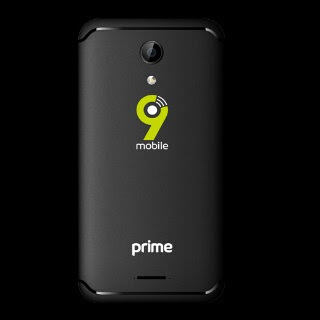 You can also get the phone online from #9mobileEshop Here. The phone is definitely going places wow the price tag is what caught me attention.. Interesting price there, but I would like to know if it's locked to 9mobile network. Kachi can it be used on other networks?